Making a Crochet Shamrock PinHere is a fun, quick little crochet project to get you ready for Saint Patrick's Day. 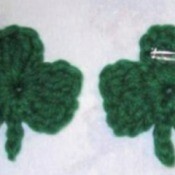 This is a guide about making a crochet shamrock pin. 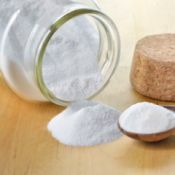 Reusing Refrigerator Baking SodaThis is a guide about reusing refrigerator baking soda. Once a box of soda has been used to absorb odors in the fridge, it can be useful for a variety of other things. Making a Styrofoam Cup VaseDon't put that styrofoam cup in the landfill, make it into a little vase. 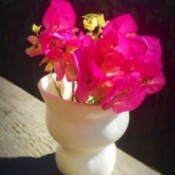 This is a guide about making a styrofoam cup vase. Making Two Aprons from Jean OverallsThis is a guide about making two aprons from jean overalls. 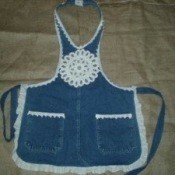 One pair of jeans overalls provides what you need to make two different aprons. Cashing Checks at WalMartThis is a guide about cashing checks at Walmart. 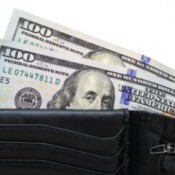 If you don't have a checking account you may need to cash checks at a retail location such as Walmart. Making a Pom Pom Shamrock PinThis pin is easy enough for children to make themselves. 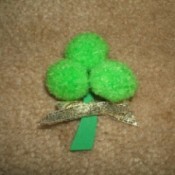 This is a guide about making a pom pom shamrock pin. Kitchen Crochet Trio (Magnet, Coasters, and Hotpads)This is a guide about kitchen crochet trio (magnet, coasters, and hotbeds). 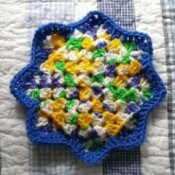 Get out your cotton yarn and make up some useful crochet kitchen items for yourself or to give as gifts. 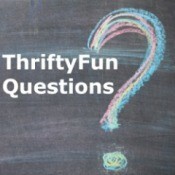 Using Baking Soda and Vinegar on CarpetThese inexpensive household items may take care of the problem. This is a guide about using baking soda and vinegar on carpet. Old carpet stains can be difficult to remove. Making a Cardboard Tube WreathThis is a guide about making a cardboard tube wreath. A lovely, inexpensive wreath can be fashioned from flattened, cut and glued cardboard tubes pieces. 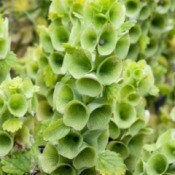 Growing Bells of IrelandThis is a guide about growing bells of Ireland. These pretty plants with their distinctive green bell shaped leaves surrounding the tiny fragrant white flower are native to Syria, not Ireland. Cleaning Spills on a Stove with Baking SodaThis is a guide about cleaning spills on stove with baking soda. 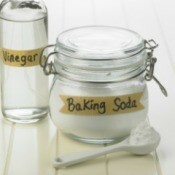 The mild abrasive action of baking soda makes it a very good cleaning agent that won't scratch your stove. 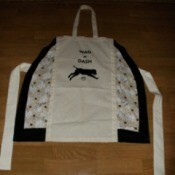 Making a Canvas Bag ApronThis is a guide about making a canvas bag apron. A canvas shopping bag, some extra fabric, sewing skills, and a bit of design ingenuity combine to make a one of a kind apron. Chemically Straightened Hair is DamagedThis is a guide about chemically straightened hair is damaged. 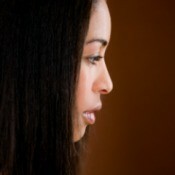 If you have gotten your hair straightened, it may have gotten damming in the process. 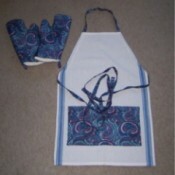 Making a Kitchy ApronThis is a guide about making a kitchy apron. 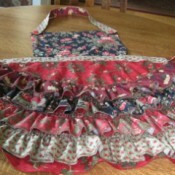 This ruffled apron is so over the top that it is actually fun to make and wear. Valentine's Day Skee Ball GameSchool or home Valentine's Day parties often have games along with the card distribution and snacks. 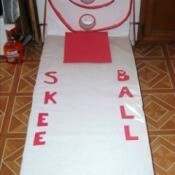 This version of skee ball is a good example. This is a guide about Valentine's Day skee ball game. Making a Sea Salt Facial ScrubThis is a guide about making a sea salt facial scrub. 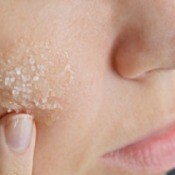 The combination of salt and oil create a wonderful exfoliating and moisturizing scrub. 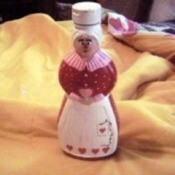 Making a Mrs. Butterworth ValentineYou can create a truly fun Valentine starting with a Mrs. Butterworth syrup bottle and some paint. This is a guide about making a Mrs. Butterworth valentine. 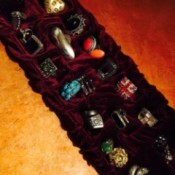 Making a Chocolate Box Jewelry DisplayThis is a guide about making a chocolate box jewelry display. Save that empty chocolates box and create a unique recycled display for small pieces of jewelry. 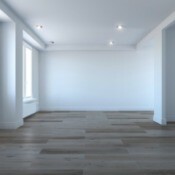 Rates for Cleaning New Construction HomesThis is a guide about rates for cleaning new construction homes. Cleaning businesses often focus on specific types of cleaning jobs, such as private homes, businesses, or new construction. 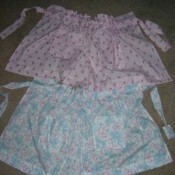 Making a No Sew Child's Half ApronThis is a guide about no sew child's half apron. 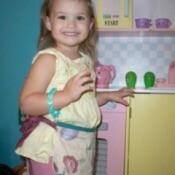 Armed with a hot glue gun, fabric, and a pair of scissors, you too can make a cute no sew apron for your budding chef. Making Recycled Clothing CoastersThis is a guide about making recycled clothing coasters. 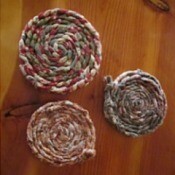 Strips of braided recycled clothing or left over fabric can be sewn into pretty coasters. Making a Tea Towel ApronThis is a guide about making a tea towel apron. Inexpensive tea towels can be sewn up into a useful apron. New Year Celebration Adult Coloring PageThis guide contains a New Year celebration adult coloring page. Adult coloring has become a popular, relaxing pastime, with pages focusing on many different topics. 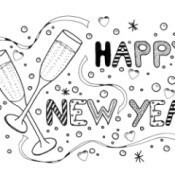 This page contains a New year celebration adult coloring page. Glittery Heart BookmarksA simple useful Valentine can be a cute bookmark that you make. This is a guide about glittery heart bookmarks. Making a One Yard ApronThis is a guide about making a one yard apron. One yard of 45 inch fabric and some thread is all you need to make this quick and easy apron. 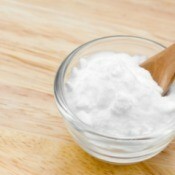 Using Baking Soda as a Facial ScrubThis is a guide about using baking soda as a facial scrub. Make a simple and effective facial scrub with baking soda. Making a 'Sole' Mate ValentineA shoe insole and some crochet skills are all you need to create this clever Valentine's Day card. 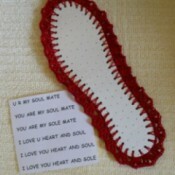 This is a guide about making a "sole" mate Valentine. Cleaning Kitchen Appliances with Baking SodaThis is a guide about cleaning kitchen appliances with baking soda. 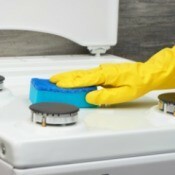 A damp rag or sponge with dry baking soda makes a good inexpensive cleaner for appliances. 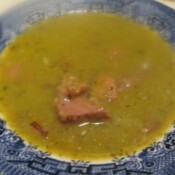 Ham and Green Split Pea SoupAh, this is my favorite soup. After Christmas dinner, I take that ham bone with still a lot of meat on it, pop it into a large freezer bag, and into the freezer it goes! I always make my Ham & Green Split Pea Soup for New Year's eve & day meals. It is such a good hearty soup with some dinner rolls or hot bread. 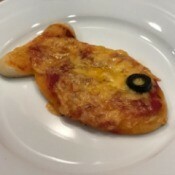 Goldfish Shaped Mini PizzasI made these goldfish shaped mini pizzas for my son's birthday party. 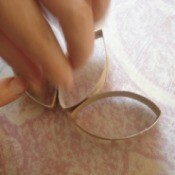 I found the cookie cutter online, but you could probably create a cardboard template and cut them out yourself. They came out so cute and everyone loved them! 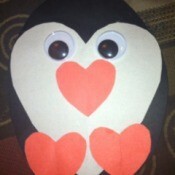 Heart Shaped Paper PenguinThis craft is perfect for preschoolers who need a simple, quick, and fun art project. Making these penguins will allow children to develop their fine motor skills by cutting out the shapes. There are also many book choices for this topic, including National Geographic KIDS "Penguins". 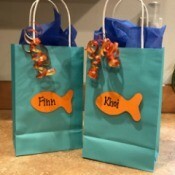 Goldfish Party Treat BagsI made these cute goldfish themed party treat bags for my son's birthday. They were easy to make and big enough to hold all kinds of fun goodies! Teddy (Mixed Breed)My granddaughter Amber, rescued this dog when he was a puppy. She played with him and nurtured him. He has grown up to be a well-adjusted, fun-loving dog who loves to play and feels safe. 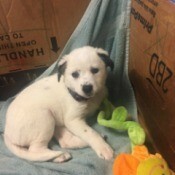 He loves to run on the beach and play with other dogs and is very good playing with children and adults. 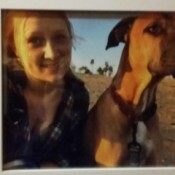 Teddy is a good companion to Amber, she is an animal lover and he feels that love. She got him from a rescue shelter in Collierville, TN. Getting Hair Back to Natural Color After DyeingWhen I dyed it at first, it had a bleach. So, it was more of a light-brown color. Then the second time I dyed my hair, my hair color is like gold, brown, yellowish. Our school doesn't allow my hair color, so I turned it into light-brown. I want to go back to my natural dark brown color. Fudge CrumblyI made Jet Puff marshmallow fudge, but when I cut it, it crumbled. What did I do wrong? What Breed Is My Dog?What breed of dog is my puppy? 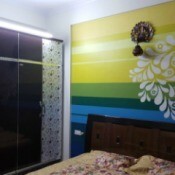 Curtain Color Advice for Multi-colored WallI have a multi colored texture wall with wallnut furniture. What color curtain should match with this?